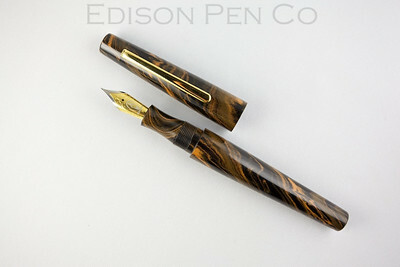 Edison Pen Co – 2013 Limited Edition Morgan Group Buy! 2013 Limited Edition Morgan Group Buy! 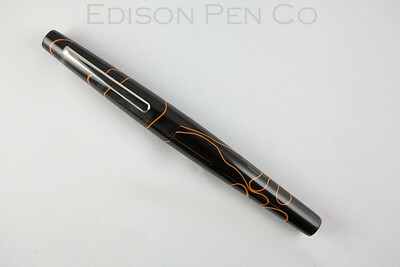 Well, it’s time for the 2013 Edison Limited Edition Group Buy Pen! This year, we will be offering a Morgan in ebonite and also acrylic. 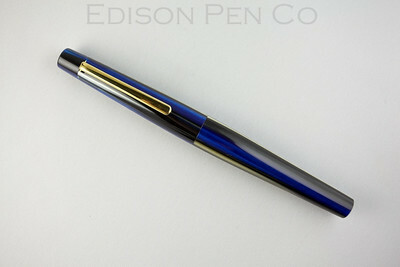 For those of you who regret not participating in last year’s 2012 Pearl LE Group Buy, please remember that we only offer one Group Buy Pen each year direct from Edison, so this will be your only chance to get a Signature Line Pen direct (valued at $250 retail) at a significant discount until 2014. Exact price is yet to be determined, but anticipate between $175 and $195. I’ll include photos of some of the offerings, but the entire process will be handled over at the Fountain Pen Network. You can see all details over there. So if you would like to participate in this year’s group buy pen…. Please click here to see all details and participate in choosing what materials will be used. After we have materials decided, we’ll have a buying period. Then we’ll start manufacturing! If you have any questions, please click the link above, as I cover all of the logistics there. I don’t do FPN. How do I vote? Sorry, but the voting is hosted at the FPN, so that’s the only way to vote. However, this won’t stop you from buying the pen if you want. I will keep updates here on my blog, so when it’s time to purchase, you’ll see it here and also in your inbox. Purchasing will happen here on my site.